Nearly 25 years ago, Michael Hammer and James Champy coauthored one of the most influential business books of the period, Reengineering the Corporation: A Manifesto for Business Revolution, anticipating some of the important changes that lay ahead. The corporate world was trying to cope with the growing pressures of globalization and the advent of personal computing. The public Internet was not yet upon us, but the need for businesses of all sizes to rethink how they operated was becoming imperative. Nearly every major corporation and many mid-size organizations were suffering under the weight of bloated operations that needed to be streamlined, according to the book. In many cases, they also were plagued with broken business processes that needed to be fixed. Those problems could be resolved, Hammer and Champy maintained, with a combination of new management thinking, supported by a new generation of client-server technologies that would distribute computing power more evenly across an enterprise. Those ideas became known as “business process reengineering.” BPR became the battle cry of management consulting firms and software/IT vendors for nearly a decade, until Y2K fears redirected everyone’s attention, and IT outsourcing became a convenient method of offloading longstanding IT problems to third parties. Despite the grand promises surrounding the BPR ideas and client-server technologies, most organizations fell short of achieving their corporate objectives of becoming more responsive to escalating customer and competitive pressures. Those pressures have intensified in the new era of the Web, e-commerce and mobile devices, and the cloud has become the latest source of refuge for organizations trying to revamp their business operations. “In the next three years, enterprises will make a fundamental shift from building IT to consuming IT” via the cloud, predicts a recently published reportbased on a McKinsey & Co. survey. More than three-quarters (77 percent) of the 800 CIOs and IT executives who participated in the survey used traditional on-premises IT infrastructure as the primary operating environment for at least one workload in 2015, according to the report. Less than 25 percent used public Infrastructure as a Service cloud solutions as the primary method of supporting their workloads, McKinsey researchers found. On-premises deployments will drop to 43 percent in 2018, while IaaS adoption will rise to 37 percent in the same year, based on the survey findings. While the primary motivation of moving workloads to IaaS alternatives is to reduce IT capital investments and ongoing operating expenses, many organizations recognize that the migration process also can give them greater agility. Ironically, that was the original value proposition of BPR back in the 1990s. Salesforce earlier this year published results of a State of IT survey that found 55 percent of 2,200-plus IT leaders and CIOs worldwide planned to improve their customer-facing apps to increase worker productivity. Forty-seven percent wanted to increase data visibility across the business, and 42 percent were working toward automation of their business processes. Almost all the talk at the company’s recent Dreamforce conference centered on how cloud-based apps can be employed by organizations to support their employees better and engage with their customers and partners more effectively. 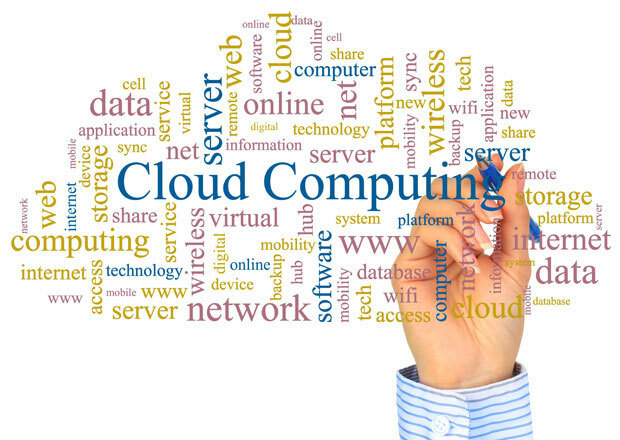 Today’s cloud solutions are not only more economical and agile, but also more powerful. Their advanced analytic capabilities can provide greater insights about the end-user’s behavior and preferences. Better reporting of customer patterns has been the primary goal of Salesforce’s Wave analytics platform. The company decided to raise the bar at Dreamforce by introducing its new Einstein artificial intelligence system, which Salesforce boasts will enable users to predict the needs and desires of their customers. This powerful AI platform also could be applied to connected products and services via the Internet of Things to improve product and service reliability, reduce costs, and increase customer satisfaction, the company suggested. While it is hard to argue with these potential business benefits, Einstein will not be readily available for a while. The Salesforce customers and partners I spoke with said they are just becoming familiar with Einstein, and they don’t expect to implement it anytime soon. Even Salesforce’s executives admit that in order to gain Einstein’s promised business benefits when it does become available, a fair amount of data integration skills will be required. Forward- minded executives will have to step up to determine the best approach to capitalize on the AI insights. In the meantime, you can expect plenty of evangelism from Salesforce and its management consulting partners regarding how organizations can bring the old ideas of business process reengineering into the brave new world of digital transformation in the cloud. We have grown from a break\fix shop to a one stop shop for all your business I.T. needs. Get in touch with us today to see how we can help your business get the most out of technology.